I have always believed that your health and wellness is a beautiful relationship between your body, mind and spirit and the life that surrounds you. Like most journeys in life, my path to working in with the field of acupuncture has been a winding one. As a boy my absolute passion was competitive swimming. I was an Irish and European youth champion and part of the first team to swim around the coast of Ireland. At University I studied biotechnology and chemistry and began working in the area of medical diagnostics and pharmaceuticals. Before long however I felt a pull to work with people in a more connected way. I contemplated returning to university to study medicine, but in my internet searches to find the best course, the words ‘Chinese Medicine’ jumped out at me like long-lost friends. I read everything I could about this inspiring holistic approach and began my acupuncture training. I soon found myself working in a hospital in China and feeling absolute joy at seeing people respond to their treatment. The more people we treated, the more I could see the effectiveness of natural foods, herbs, acupuncture and lifestyle change. 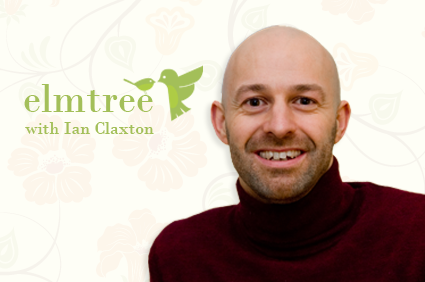 On returning to Ireland I opened The Elmtree Clinic in Oranmore, Co. Galway in 2007. In these stressful times Olga at the Elmtree Clinic provides an invaluable haven for the senses. A wide range of treatments are offered which are tailored to suit each individual’s needs. If you seek relaxation consider an Anti-Stress Massage, Indian Head Massage or melt away your tension with a wonderful Hot Stone Massage. ​For your aching sore muscles or indeed to prevent injury why not try Deep Tissue Massage or Sports Injury Massage. From a young age,I have always had a very keen interest in sports and from that sustained various injuries along the way, wondering why they occurred, how to treat them and prevent them from occurring again in the future. This is where my life long learning journey began, using a variety of technique such as sports massage, physical therapy, nerve and energy work combined with Pilates to aid in rehabilitation to achieve a emotional, physical and spiritual wellness. Sheila is qualified in Craniosacral therapy and helps people who suffer from conditions such as stress, anxiety, headaches, fatigue and much more.